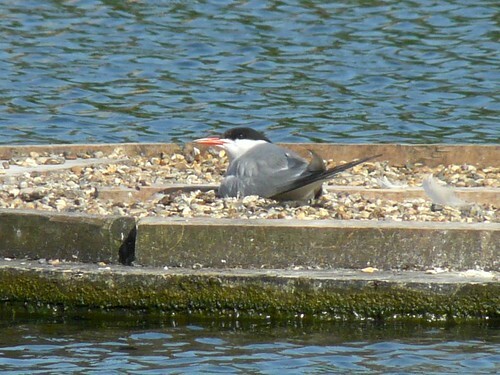 The terns on our dock don't seem to have hatched a chick yet. 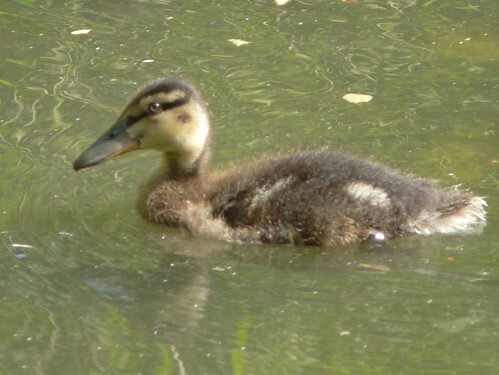 Some of the ducklings are growing up. 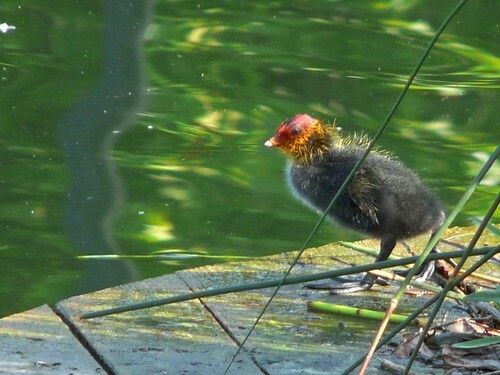 There are coot chicks everywhere. 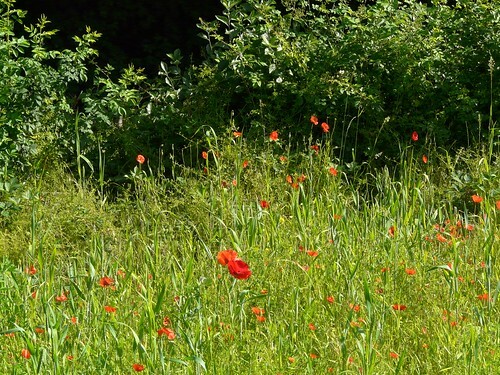 The Ecology Park is full of poppies. 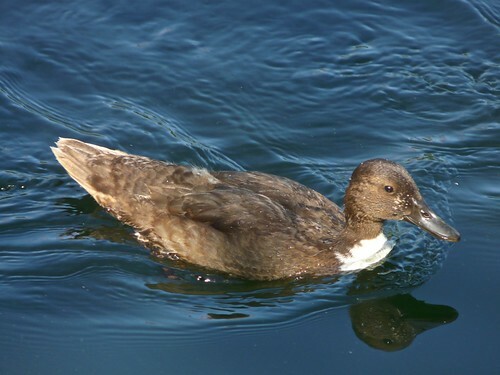 A rather goofy-looking duckling on Downtown Pond. 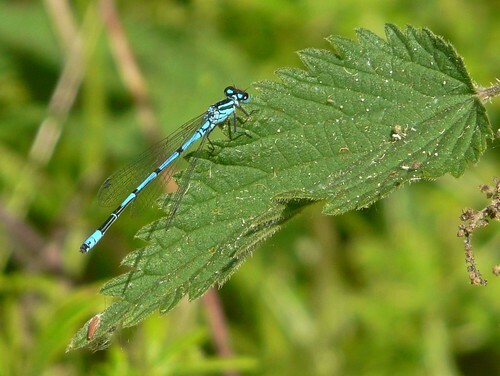 We have insects as well as birds -- here's a damselfly. 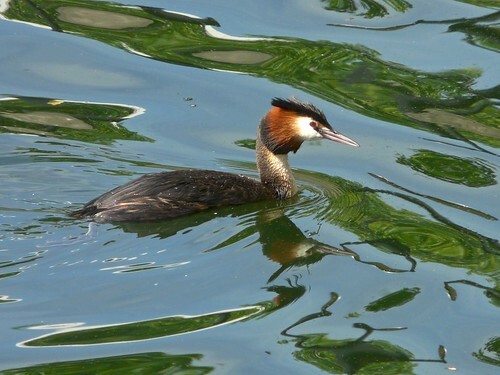 Great Crested Grebe on Greenland Dock -- there was one chick, but it was too far from shore for a decent shot. 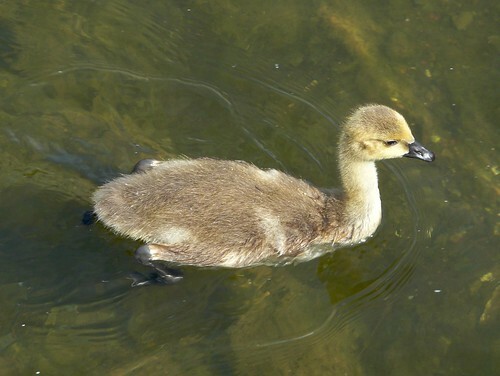 I've only seen this one gosling so far this year. This is a Canada Goose -- you can tell because it's on Canada Water. 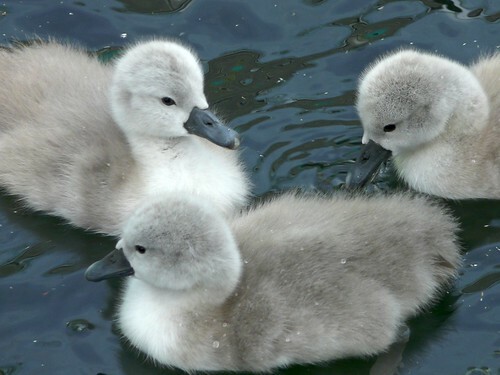 The swans on Canada Water have hatched another set of seven grey fluffballs, a couple of weeks behind the ones on our dock. 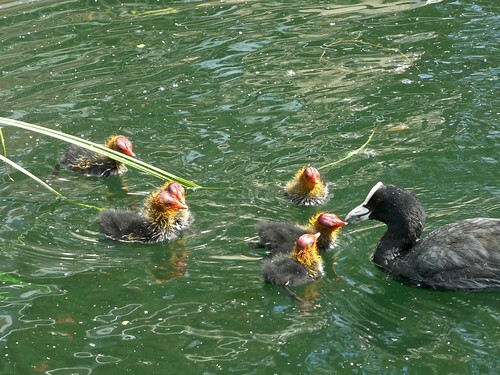 More coot chicks, in search of breakfast.